Adventure in India  it is a theme around which a number of tourists weave their trip. India is such a big country that landscape in every part differs from the other. At places you will find towering mountains with rivers and streams running down through them. At other places you will see miles and miles of desert. At still other place, vast oceans will welcome you with their thundering noise. These places are just perfect for adventure in India. Below we have mentioned few options that are loved by adventure enthusiasts coming to India. Trekking  Adventure in India has numerous options and trekking is one of the most sought after amongst all. 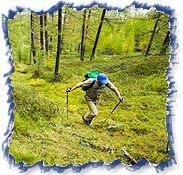 Trekking gives you an opportunity to explore those areas where it is not possible to go by a vehicle. Moreover, it offers greater opportunity to enjoy the beauties of nature and mingle with local folks. Trekking areas in India include the mountain ranges of the Himalayas, Zanskar and Sahyadri. Skiing  Skiing is another highly popular option for adventure in India. Slicing through white sheet of snow with breezy wind sending chill down your body, skiing is an experience that is exhilarating and entertaining simultaneously. The best place to ski in India is in Auli. Apart from this, Gulmarg in Jammu and Kashmir and Kufi in Himachal Pradesh are also good options. River Rafting  The rushing water of rivers are just perfect for river rafting adventure in India. The raft moves up and down with the flow of the river and pose rafters with a challenge to keep their balance intact. In India, river rafting can be done in the following rivers  Brahmaputra, Ganges, Teesta, Indus and Kali. Mountain Biking  For more adventurous spirits, Mountain Biking is the sport to be undertaken in India. Pick up a bicycle or motor bike, and proceed to conquer the treacherous route of the mountains. Like in trekking, mountain biking too offers you a chance to interact with local folks and enjoy the serene climate more. Jeep Safari  Jeep Safari can be done at a variety of places in India. Just board on a jeep and proceed to explore a mountainous region or a sandy desert. Off late jeep safari in wildlife areas have become extremely popular. It is considered a safe way to view animals in a forest area while keeping the fun quotient alive. Paragliding  Ever felt like flying as a bird? 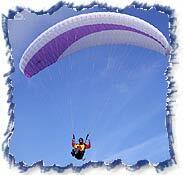 Well, paragliding is just the option for your adventure tour in India. There are a number of places in India where paragliding can be done. Prominent amongst these are Bir and Billing in Himachal Pradesh. Other options include the Terai region of Garhwal, the Doon Valley and the Western Ghats.